Can Technology Better The Way We Teach Reading? This notable quote is from the Dr. Seuss Book, The Lorax, who would have celebrated his 108th birthday on Friday, March 2nd, 2012. The month of March is known as the month for “Read Across America” as students are challenged to read as many books as possible in this given month. This quote is relatable to the education system in New Jersey and the United States. If something is wrong, nothing is going to be fixed unless a person or people really care about the education system. An important part of being involved in schools is finding more ways to better our education system. One of the currently popular topics involved with the educational system is the use of or ways of technology in the classroom; furthermore, there is the possibility of using different forms of technology to teach reading, something that the famous author Dr. Seuss was very passionate about. 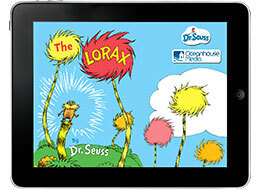 Seuss’s books are still loved by children all around the world today in thousands of schools. The article “Technology and Teaching Children to Read: What does the research say?” by NEIR*TEC, provides numerous ways to use technology to teach phonemic awareness, phonics, fluency, vocabulary, and text comprehension. These five skills are important for all students to master in order to become successful readers. Some of the technologies mentioned were computer software, E-books, multimedia, computer- based games, or computer drill programs. Although Dr. Seuss is not around to see the transformation technology has provided in the classroom, he would most likely have embraced the interaction technology brings to the table when teaching young children to read. His books about Truffula trees, Whoville, the Cat in the Hat, Star-Belly Sneetches, Fish, Grinch, Lorax, and hundreds more, were all meant to bring children into the world of “Seussville” in an interactive way. Technology and creative authors like Dr. Seuss can change the way reading is taught to children in a positive and far more interactive way then schools have ever seen before.